The DST Compressor is a training aid that has completely surprised me. When it comes to training aids most people that understand the golf swing are quick to pass judgment. 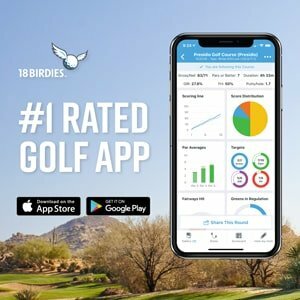 I’ve heard it all; “That’s crap.”, “It’s just going to mess you up.”, “You just need to play more.” Everyone seems to have an opinion of how bad a training aid can be. I’m not one to be left out of that situation, I’ve found it very difficult to award a training aid “Worthy” status as my time as a reviewer. And, if I’m being honest, the first time I saw the DST Compressor I was sure it was a gimmick club too. For the most part, those skeptics are probably correct. 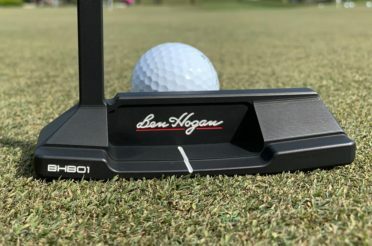 In the years I’ve been doing reviews about training aid, there has been only one, that I can think of, that I still use on a regular basis, and that’s The Putter Wheel. Everything else I’ve tried, tested, reviewed and bought have not led to the magical swing most proclaim. In fact, some have caused some damage, so I get the reason for concern. The DST Compressor though is in a new league when it comes to training aids. Over the last several months I’ve been using the club on and off trying to get a feel for what happens. What happens when it’s being used, and also with some time away from the club. What I’ve found out has been quite shocking and almost unbelievable. Had I not seen the results for myself I’d be asking more questions. 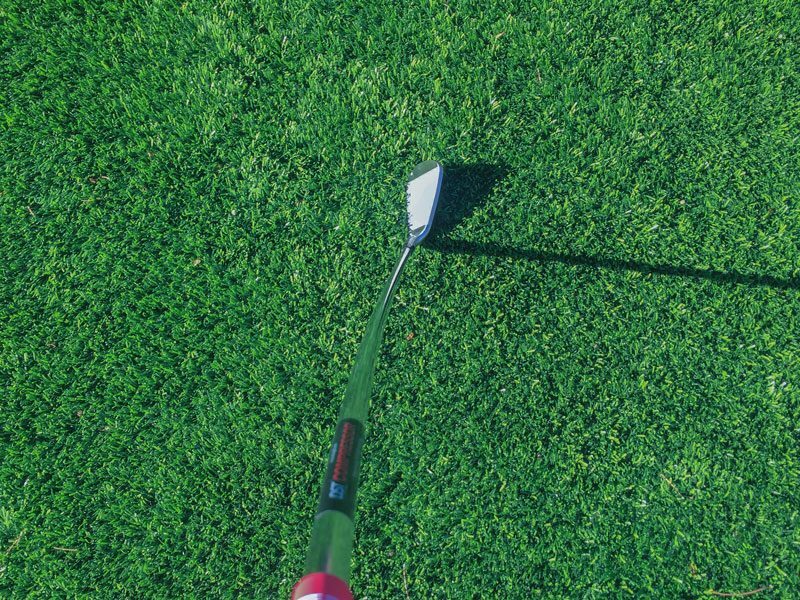 I promise, if you’re not familiar with the club, after reading this you’ll seriously consider adding one to your bag. 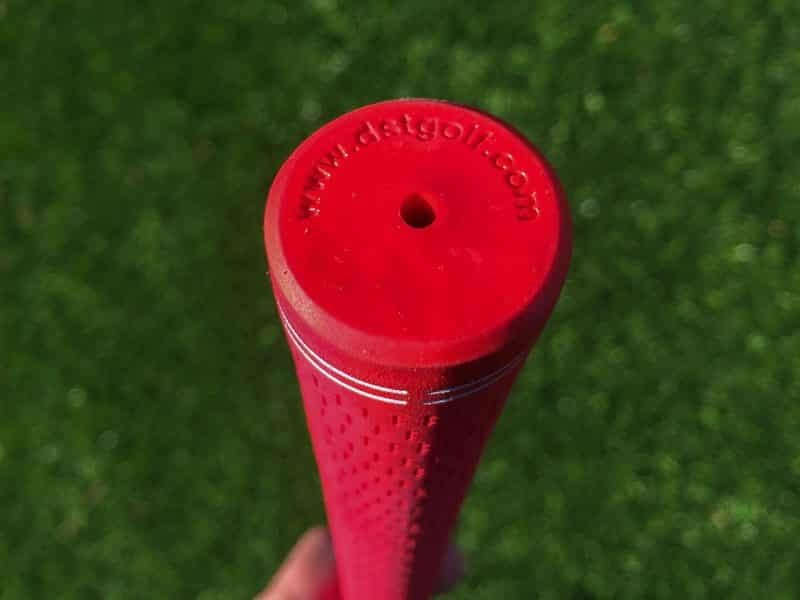 For those of you who don’t read what I call the “Golf Internet,” you may be unfamiliar with what type of training aid it is. 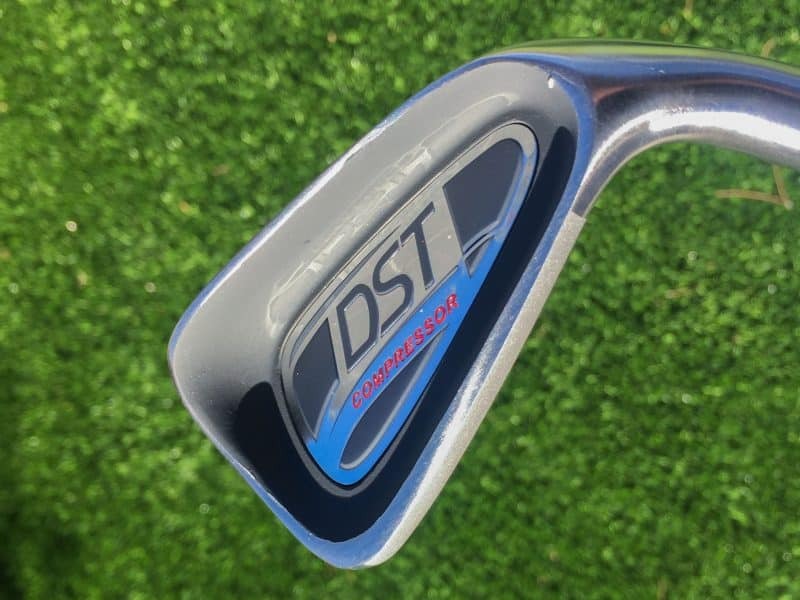 The DST Compressor is a golf club that has a bent shaft. 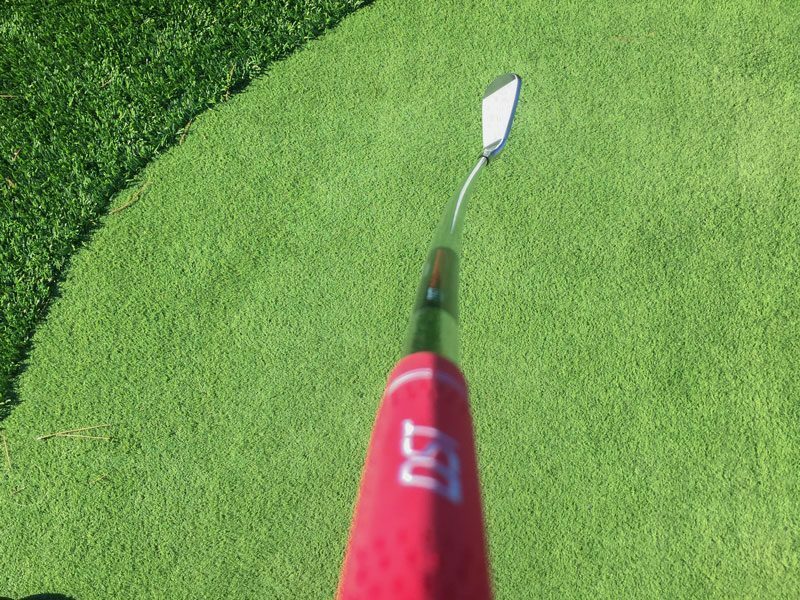 The bend in the shaft mimics the position of where your hands should be at impact. DST stands for Delayed Strike Technology. 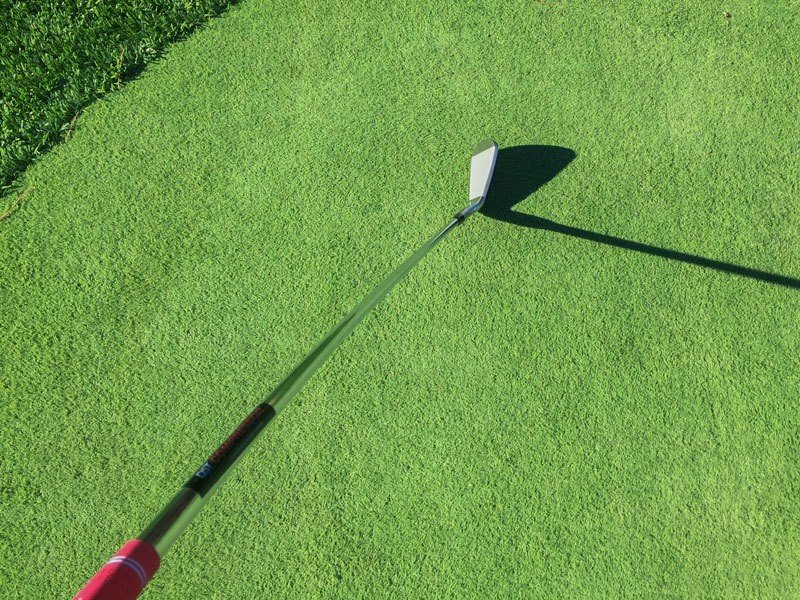 The person behind the club, Bertie Crodle, believes this is the key to successful golf. This position is ahead of the ball and reinforces compression. If you want some pop on the ball, you need compression. You want some adding distance, add some compression? 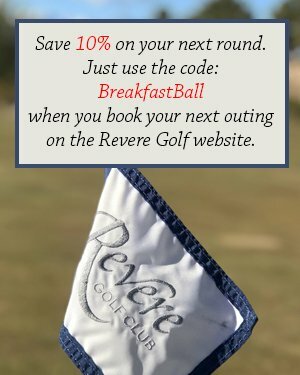 Do you want to feel like a tour player when you strike the ball? You guessed it, ADD SOME COMPRESSION! I’ve never been the type of player that compresses the ball. I’m much more of a sweeper than a digger. It comes with the Ballard swing. But when I noticed my distances were starting to head in the wrong direction I started my typical “in-depth” analysis of what was happening. 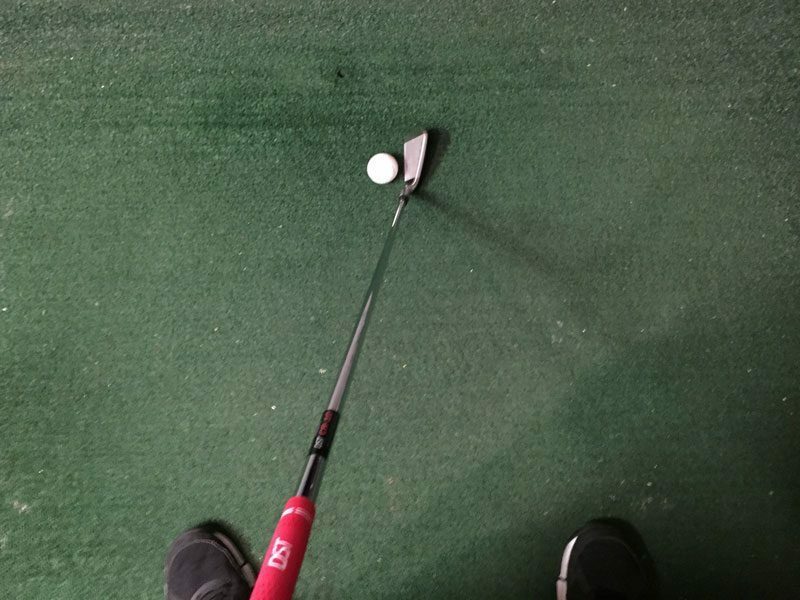 It didn’t take long for me to figure out that my lack of compression was hindering my ability to get the most out of my swing and the ball. 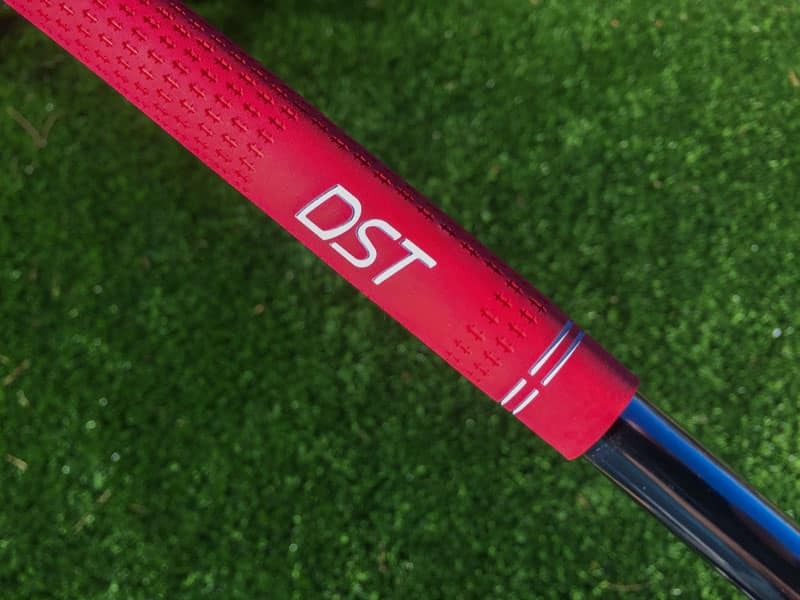 I asked around on Twitter and with some of my friends in the business, and the feedback I was getting about using the DST trainer was stunning. There wasn’t one person that had a negative thing to say about the club. When you pair desperation, my state, with some rather serious recommendations that the DST would be an excellent training aid I knew I was on the right track. 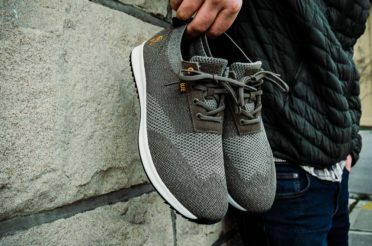 I reached out to DST about doing a review here on the site, and within a week I was starting my training with the club(s). That may come as a surprise to some of you, for others, it is life, so they get it. Me on the other hand, I don’t spend nearly as much time as I should swinging clubs. Life likes to wreak havoc on my golf game. It’s not always bad, but a training schedule hasn’t been a part of my gameplay in a while. The DST Compressor came with explicit directions on how to begin using the club. And, because of all the referrals that came in from people I highly respect, I explicitly followed the instructions. When I talked with Bertie from DST, he explained to me the club takes a little bit to get used to it. It’s an odd club for sure. He recommended I spend the first few days with the club just making simple chip shot swings. But, he wanted me doing it without a ball. Five years ago I would have laughed that off, headed to the range, start smacking balls at a full swing and completely miss what is supposed to take place. Thankfully, one of my favorite drills to practice is a slow-motion drill. I do that drill without a ball so, swinging the DST club for the first time without one was nothing new to me. I freed up some time for myself and headed out to the garage for a quick session. After rereading the directions, I began with a simple little swing. It was my chipping stroke. I spent about twenty minutes with the first session, and I’d be lying if I told you I didn’t care I wasn’t hitting balls. I wanted to hit some so bad! 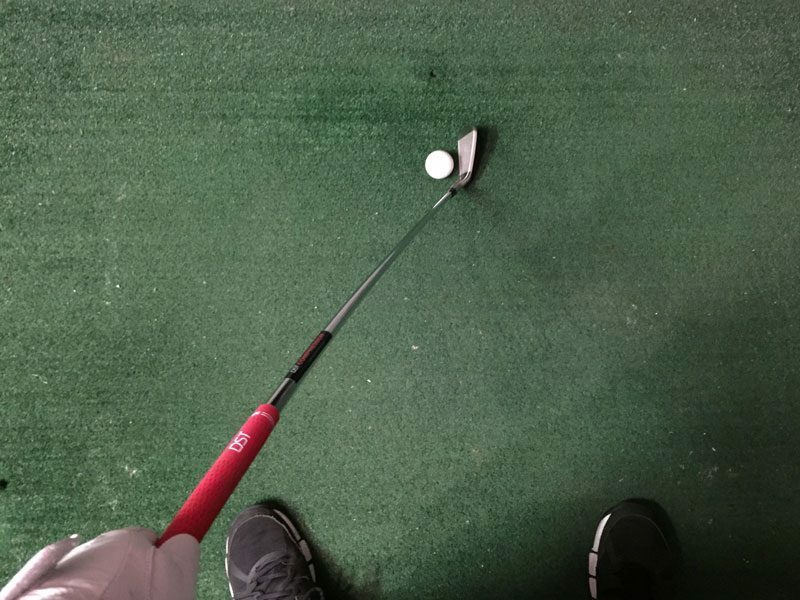 The club makes you want to hit a ball just to see if you can do it. But, I held true to my promise I made to myself stick to the plan. I’d did this same session the following night; I just added more time. I spent a good 45 minutes in the garage taking swings. 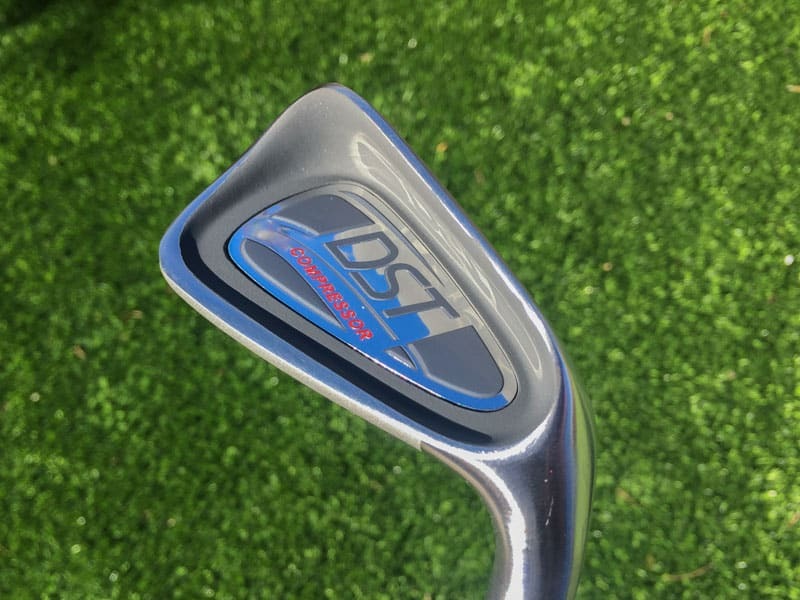 It felt good getting some reps, and the more I was swinging the DST Compressor, the more I was starting to get the gist of the club. Keeping with the advice from Bertie, I started my session this night with a few swings without a ball in place. Just a couple half swings and chips. But I felt I was ready. The time had finally arrived, the first real ball strike was seconds away. I placed the ball down took my address and shanked a ball right into the wall in my garage. HAHA. Nerves got the best of me with that one. The very next swing and those that followed the rest of the night was much better. It only took a few swings to understand why Bertie had made the suggestions he had. The club is unique, and it does take a little getting used to the differences it has versus a standard club. 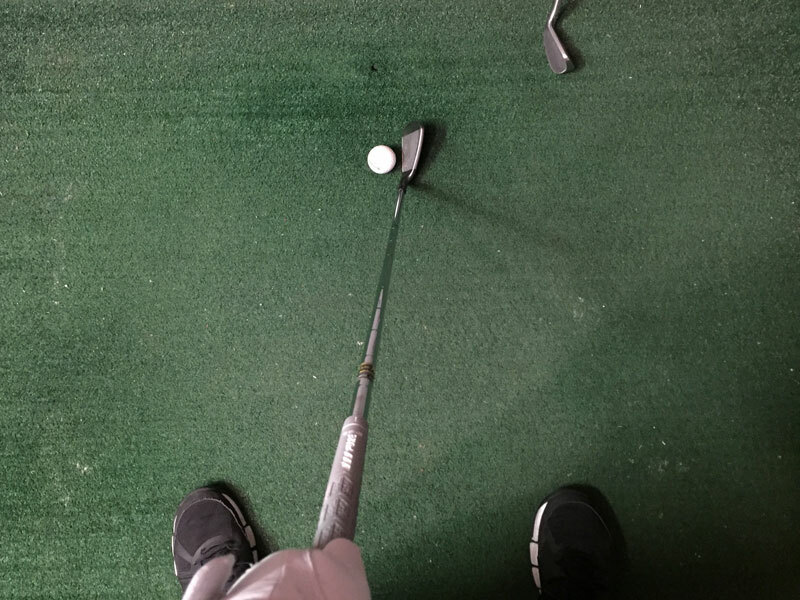 Considering the unique build of the club I was surprised at how well I was hitting the balls. I honestly thought it was going to be more difficult. These were still chip shot swings; I hadn’t, at the time, gone to a full swing, heeding the advice from Bertie. By the end of my session though, my ego had been silent long enough and quickly convinced me that I was silly for not trying a full swing. Like you didn’t know this was coming. The full swings were odd. I was making good contact, but the ball flight was starting way left of my target. Like DEAD PULL territory. With the chip shots I was dead on with my alignment and accuracy, but with a full swing, I was good ways left of my intended target line. I played around with it for a few days and after my frustrations levels reached the breaking point and reached out to Bertie for some advice. The issue, for me, arose from my swing. Duh, I know, that’s a horrible explanation but hear me out. The Ballard swing is a very upright swing. 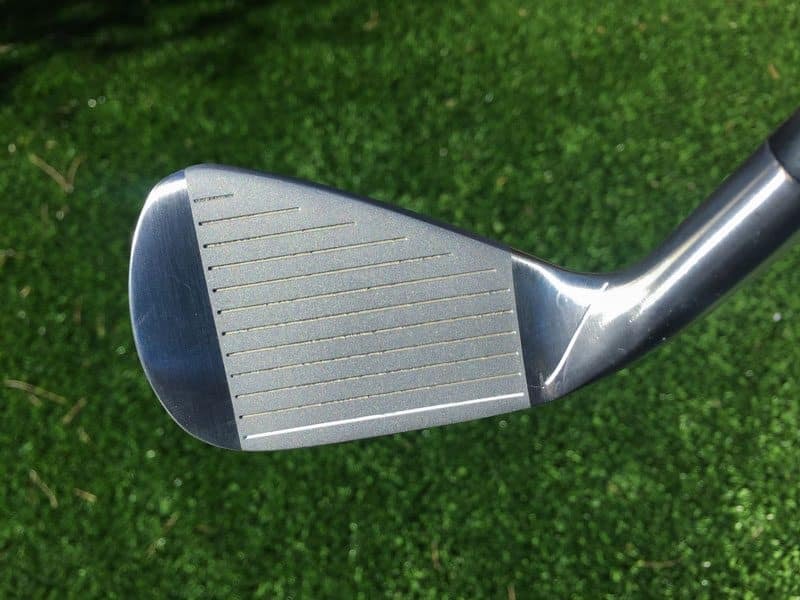 The club doesn’t get behind you very much and with a Ballard swing and the DST, there can be some issues. It wasn’t anything dramatic, but Bertie walked me through how the club worked and made some suggestions to help me get a better feel for how I should be training with the club. With Bertie’s assistance, I was able to change a few small things and started hitting the ball very well. Just like it is supposed to be hit. I stayed at it for the next couple of weeks. About twenty to twenty-five minutes a night, just hitting balls into my net in the garage. It was at this point that I started to feel some changes happening to my swing. The weight shift was much more predominate. I was getting over to my left side so much easier, almost effortlessly. Not a huge change from where I was before training with the DST, but I was getting there with my swing and not forcing the motion. Remember at this point I’ve only been swinging the DST Compressor. I hadn’t brought one of my clubs into the sessions yet. Because I had zero golf planned, I decided to take it slow and spend some quality time getting to know the club. I wanted to be fully engaged with the swing and the movements used to hit the ball the way it’s meant to be hit. 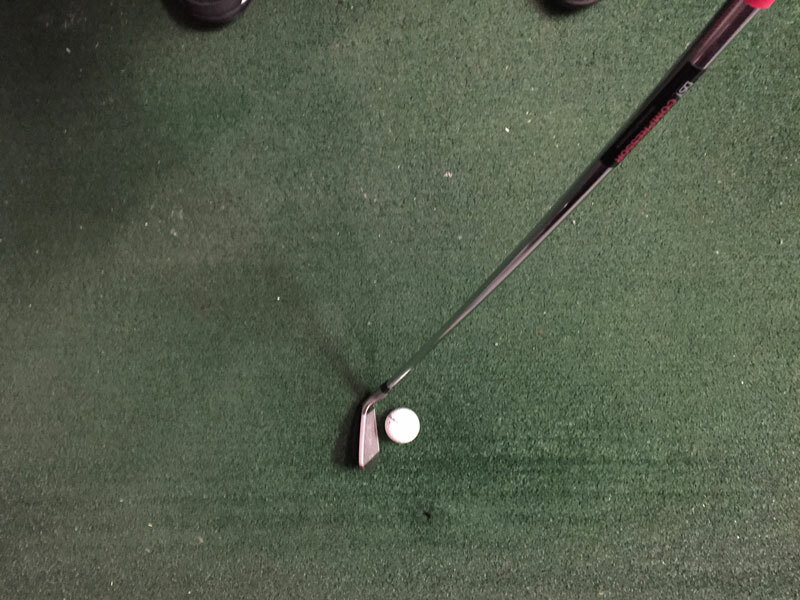 The time had come though, and after I was done with my typical session I had been doing over the last few weeks, I grabbed my 7iron and took a swing. The DST Compressor just blew my mind. That swing was incredible. I had never heard that sound the club face had just produced, ever! At least from a swing I made. It was perfection in every sense of the word. Powerful, effortless, piercing all the great things amateurs dream of hearing and seeing when they strike the ball. Of course, I had to hit more and more I did. I spent another good thirty minutes outside in the garage pelting ball after ball. It was some much fun I didn’t want to stop. But, like all good things, the night session came to an end, and I went inside riding a wave of confidence I hadn’t seen in a while. I just could not believe how much better I was striking the ball. It was mindblowing. Eager to put my new found skill set to the test, I quickly made arrangements to get out and play. It was hard to explain to myself what was happening. I’m not a long hitter by any means but, on this day I felt like a tour pro. It sounds ludicrous I know, but it’s true. My ball striking was insane. I was hitting the ball so well I even impressed my playing partner. I had to reassure them this was not typically what happens when I get on the course. Throughout the entire round, my iron play was easily the best it has ever been. My shots were crisp and penetrating. My divots were consistent and much more present than usual. With those changes incorporated into my swing from training with the DST Compressor, I was looking like a legitimate golfer. Just not off the tee. My driver wasn’t with me most of the round and because of that, I was in a lot of sticky situations off the tee. It was almost a blessing though because it put me in spots where I was able to test out my swing in circumstances I don’t usually see. By the end of the round, I had found my driver swing, a little, and put together a few good holes to wrap up the round. Even to this day I still remember my approach shot into the 15th green. It’s a par five and I had hit my second shot about 10 yard shy of the 150-yard marker. The pin was in the back left, and when I shot the flag with my laser I was looking at a distance of 175 yards. Before this round, my swing thought would have been to grab my 5 iron and make a nice smooth swing and get the ball on the green. That shot to remember help solidify the DST for me. As I said, I’m not long. 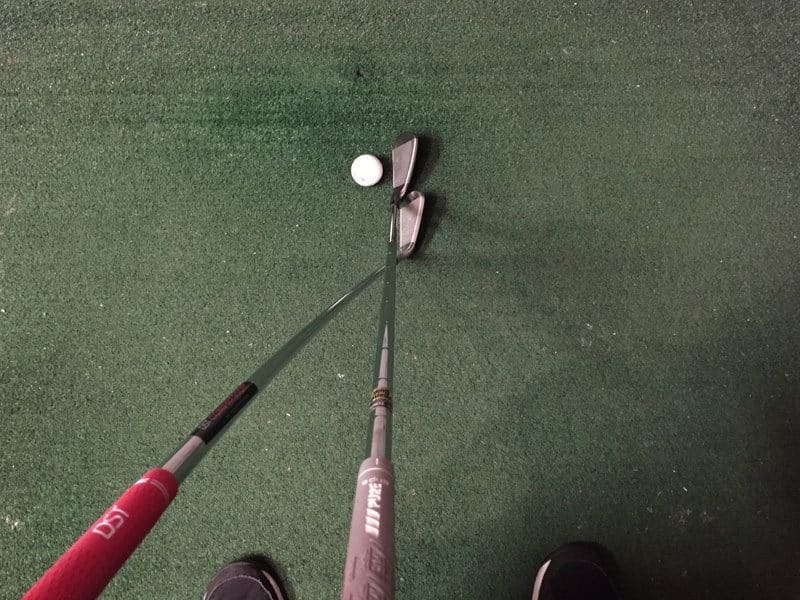 But, because of what had been happening all day for me, I’m talking about the increased distance from all my clubs, I decided to take a gamble and see if the 20-25 yard gains I was experiencing could be put to the test. 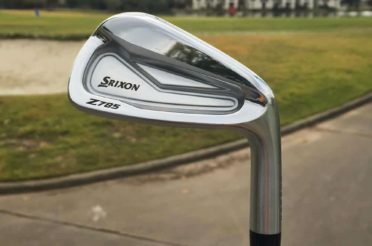 I pulled my 7iron from the bag and took the same smooth swing I would have had it been the 5iron. Stunned, that’s all I could say. The ball flew off the face, climbed high into the air and came to rest just left of the green. I had pulled it just a tad, but it was pin high. I had just hit my 150-yard club, 175 yards with no more effort than had I been targeting a 150 yard shot a few weeks prior. Never in my life had I hit a ball that far with a 7iron. I found myself in a hardpan lie left of the fairway on the very next hole. To pull off the shot I had to hit over a hillside to a green that featured a nasty bunker protecting it up front. I was roughly 200 yards to center green. Feeling the rush from the last hole I pulled my 5iron and from that lie came up about 12 inches short of clearing the bunker. 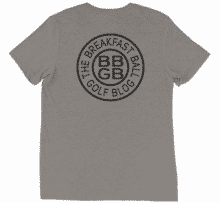 The ball struck the wall of the bunker, and it dropped straight down. Think links style pot bunkers, and it will make more sense to you. I found myself in a hardpan lie left of the fairway on the very next hole. To pull off the shot I had to hit over a hillside to a green that featured a nasty bunker protecting it up front. I was roughly 200 yards to an upfront pin position on the green. Feeling the rush from the last hole I pulled my 5iron and from that lie I came up just a few inches short of clearing the bunker. 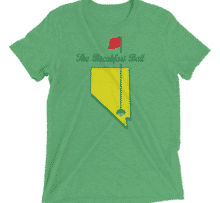 The ball struck the wall of the bunker, and it dropped straight down. Think links style pot bunkers. I followed those shots up with a few more on the closing holes, however, the 7iron on 15 will stay in my memories for a lifetime. To pull that shot off was awesome! The DST Compressor has me sold! After that outing, I knew I had a mighty training aid in my possession. All the people who had told me it was a fantastic tool were so correct. 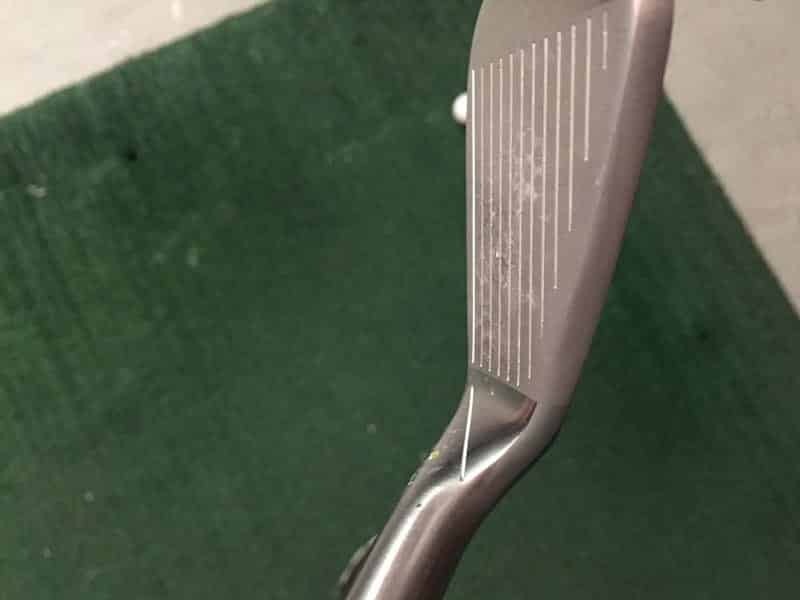 I kept using the club in the garage for a few weeks, however, I didn’t go at it as hard as I should have been. I stupidly thought this new swing was here to stay. And as the weeks went by my time spent with the DST became less and less. I wasn’t playing much golf because I had a ton of activities with the kids. That was taking up a lot of my “at home golf time, ” but I was ok with that. My kids are the world to me. But, my swing suffered. Once I did get back out to the course some three weeks later, I found the swing I had experienced the last time I played was gone. Not slightly where a few shots I hit were off. Nope, it was completely gone. As if it had never happened. That had me furious, mainly at myself for allowing it to happen. 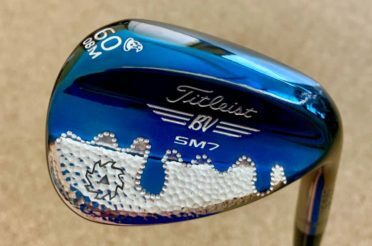 Going through my swing changes over the last 3-4 years, I should have known this was going to happen. I went into the training sessions hard with the DST, and I fully committed myself to making it work. But, it’s such a muscle developing aid than anything else. Much like the Golf Swing Shirt is a training aid to teach your body connection, the DST is similar but it trains your body (your muscles) the proper sequence for an ideal impact position to compress the ball. I never gave my body enough repetitions to learn the motions. Because I didn’t allow it to become my swing, it didn’t take long for me to go back to my old sweepy swing. After a recent appliance SNAFU at my house, my “in the garage” hitting studio has become more of a storage facility than a workout area. 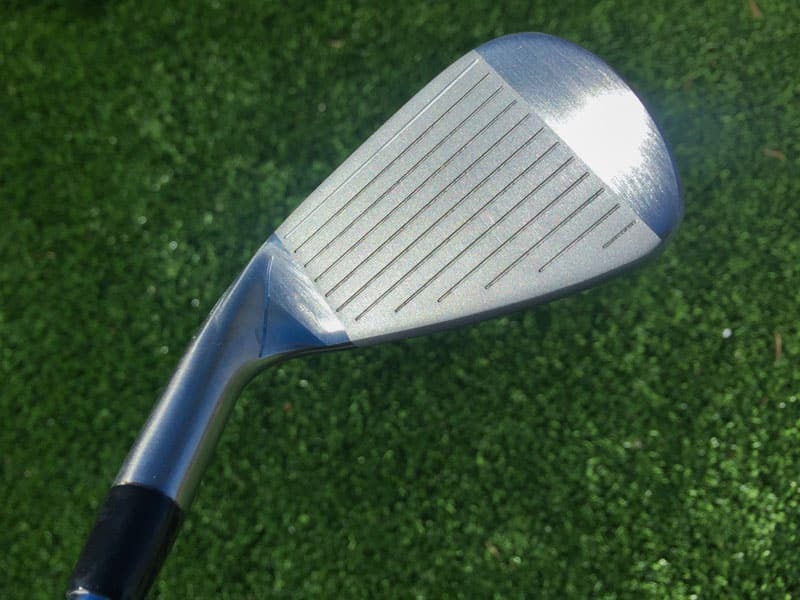 It has been virtually impossible to work with the DST iron compared to the way I did when I first received the club. I’m eager to get that mess straightened up so I can get back at it and find that sweet swing again. After seeing it first hand, the DST is as legit of a training aid as I’ve ever experienced. What it was able to teach my body in a relatively short time was remarkable. I put in a lot of work to get to that point. Don’t get me wrong; it wasn’t a walk in the park. My issue is I just have failed to maintain it over time. What I’ve learned for Wade, about the golf swing, makes it easy to understand what has happened. The mind like things as they are and is hesitant to change. Especially when you’ve been doing the same swing movements for a long time. Much like the years, it took me to overcome my casting, over the top move, it’s going to take an equal amount of time and dedication to teach my muscles this new motion. I’m all for it though, if anything I’ve seen first hand what’s possible. And let me tell you it’s amazing. 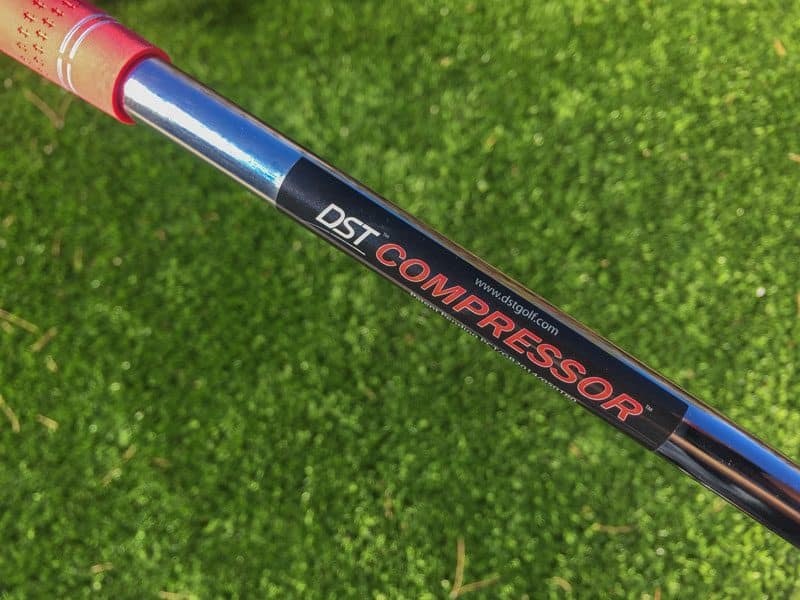 There’s a reason why so many Tour Pro’s are utilizing the DST Compressor. Simply put, it works. Take a look at the DST Blog and see for yourself how many top level players are incorporating the DST to their training. I’ve been blown away with the DST, and everyone I’ve talked to that has used one ultimately agrees. 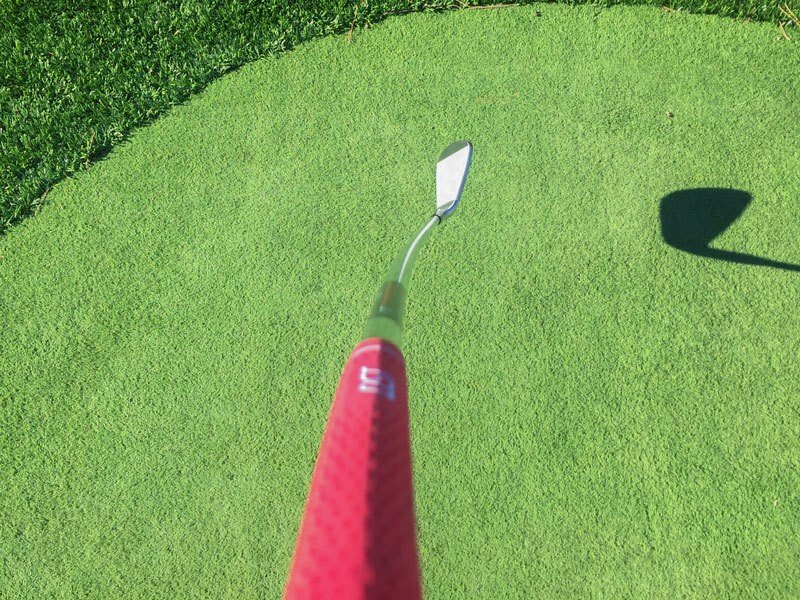 It is a fantastic training aid. Make sure you visit the DST Compressor website for more information. 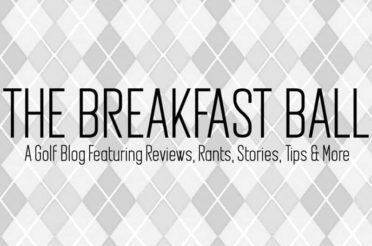 Including their blog, and most of all some excellent videos. They sell the club in different configurations; A wedge and an 8 Iron. They also have two straight shafted clubs with the same head design. 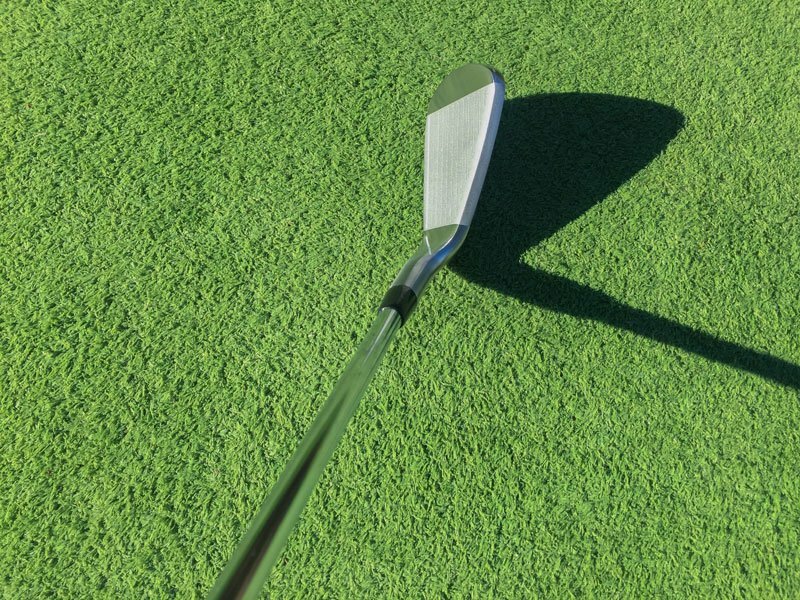 Those makee the transition from the bent shaft to your clubs more manageable. 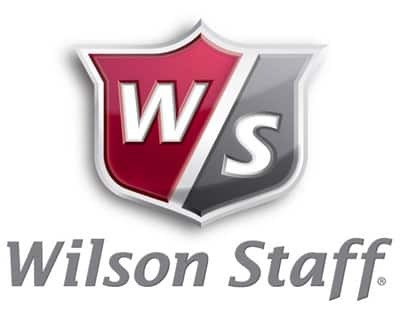 Each DST club sales for $99, be it the straight versions of the wedge and 8 iron or the bent Compressor clubs. In my opinion, that’s a bargain for what you’ll get out of the club. 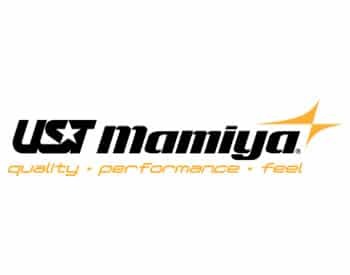 You can also find them being very active on their social media pages: Twitter, Instagram, Facebook & YouTube. Very easily I could have gone on for another thousand words about this training aid but I figure by now, I’m pushing 3,000 words, you might be burnt out. I would highly encourage you to spend some time with their YouTube page to get some insight from Bertie himself. I plan on getting back at it with the club very soon so by the fall when the clubs come out of the overseeding, I’ll be ready.